Welcome, little Miss N to the Photographer Cleveland Ohio blog! 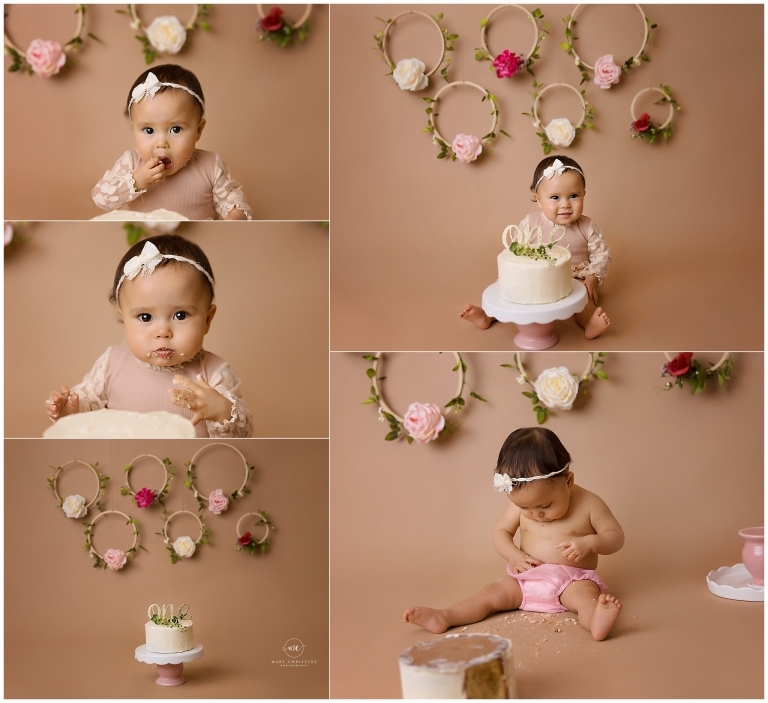 Oh my goodness, this little lady came in for her cake smash session this week. How adorable is she? Like a real life baby doll. How lucky am I to call this my job? 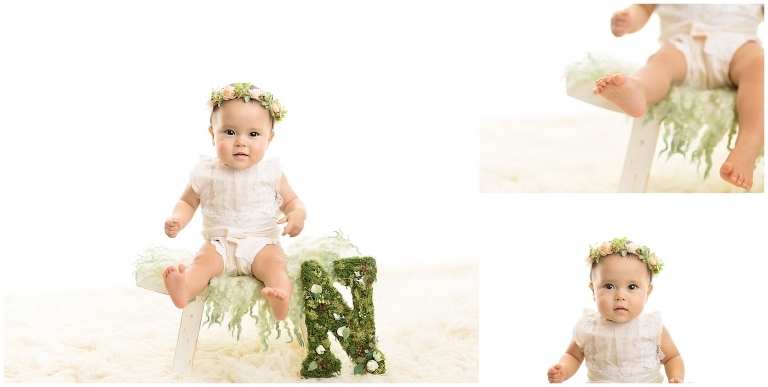 N’s parents wanted a simple but organic feel to her session. Sign me up! If you have followed any of my work, you know how obsessed I am with this! These floral wreaths are all the rage right now and were super easy to make. I love the simplicity of the cake from A Cupcake A Day in Medina, Ohio. Who doesn’t love cake? I know I sure do! Most babies are a little confused when we plop and entire cake in front of them. I always suggest parents bring in their favorite finger food to help lure them into eating the cake. But little Miss N needed no coaxing, she knew exactly what to do! A little tip from the cake eating pros, always check your belly button for crumbs. How stinking adorable! You can’t blame a girl for getting every last morsel! Did you know that the outfits are provided for your session? It’s true! All you need to do is bring your baby! How sweet is this little set from Cora and Violet? I love playing dress up with babies, especially since mine will no longer let me dress them! Ahhhh, I could have kept Miss N and played with her all day. She is so chill and adorable! Her parents are pretty amazing people too! It is always an honor when a family trusts me to capture their precious moments like this. Thank you so much for stopping by the photographer Cleveland Ohio blog! Interested in baby photography? Please check out the blog and portfolio. I would love to create a session just for you!